Don’t worry Mum, we’ve got your back! Did you know chiropractic can help pregnant women and new Mum’s with lower back pain? Not to mention sciatica and pelvic pain, all without drugs. Put your head in our hands! Want effective, cost efficient, drug free relief from your headaches and migraines? Chiropractic offers a natural approach and a Macquarie University study showed that specific chiropractic adjustments to the spine significantly reduced migraines in 71% of the people surveyed. Chiropractic care represents the pinnacle of best practice for lower back pain, is extremely safe and does not use drugs. In fact, studies have shown that a course of chiropractic care was 250 times safer than a course of anti-inflammatory drugs. As an elite athlete or weekend warrior, it is important to have your body functioning optimally if you want to achieve the best results. Chiropractic care can reduce injury and improve performance. Is school becoming a real ‘pain in the back’? 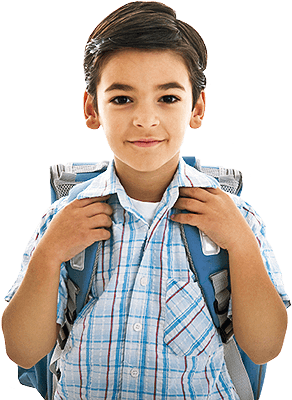 Did you know Australian children are at risk of permanent spinal damage because of incorrectly packed and fitted school backpacks? It’s a real concern which can be easily addressed with chiro care and advice.